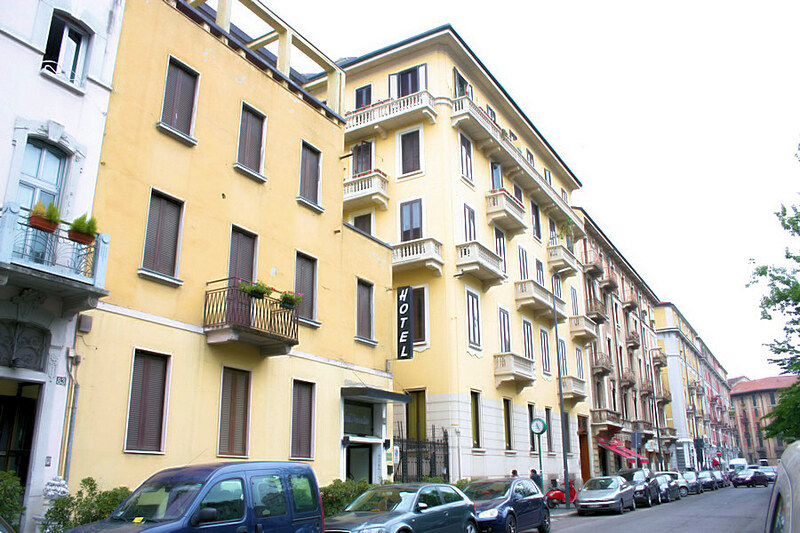 The Hotel Paradiso is located 300 meters from Milan´s main Train Station. To reach the Hotel, cross the square in front of the Station; therefore easy to catch up and comfortable, shortly you can reach the fairground as well as the city centre, ideally suitably for Shopping trips, because it´s only a few minutes from the famous Corso Buenos Aires, Via Montenapoleone and Via della Spiga. The Hotel has a varying selection of 17 rooms, designed to meet every kind of need. 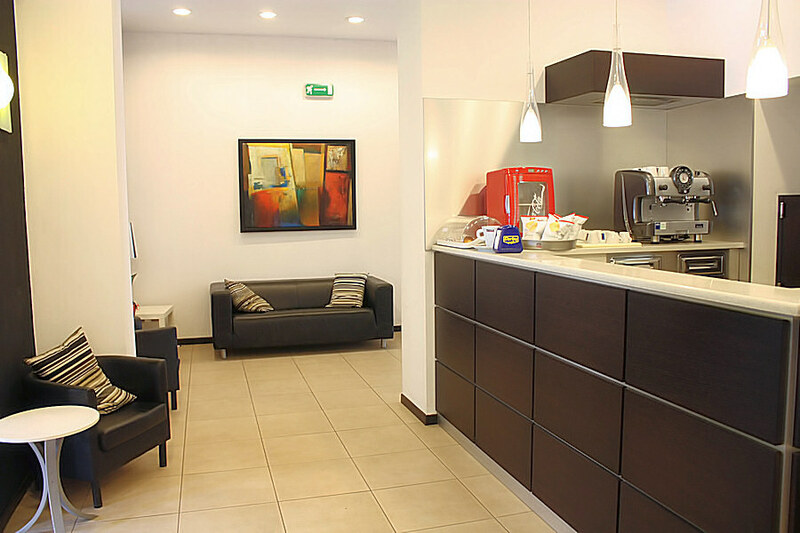 All the rooms in this comfortable two star Hotel in Milan are fitted with every form of comfort such as direct telephone line, color TV, and air conditioning. For all those, who wish an atmosphere of new construction, classified, elegant and refined, Hotel Paradiso will be the right choice. The beauty of the structure and the quality of their services, let it become one of the most beautiful Hotels of Milan in its category (2 star). The Hotel invites you into the heart of Milan with elegant atmosphere, which is adjusted fully and completely to the needs of the guest, in order to guarantee satisfaction and comfort on highest level providing reserved parking spaces near the hotel, lift, bar, night porter and 24-hour room service. Hotel Paradiso is distinguished by its modern and refined design, offering elegance and functionality at the same time. Activities in the city for business, tourism and study require a punctual and efficient service adapted in a frame of absolute prestige. Walk down Via Vitruvio to the crossroad, Via Benedetto Marcello (about 200 meters), turn to the left and you will reach the Hotel Paradiso. 2) Take the Shuttle offered by "Autostradale" which will take you to the Central Train Station. From Milan´s Linate airport, take Bus 73 to its last stop (Piazza San Babila), change to the metro red-line 1 in the direction of Sesto FS, and get off at Piazza Lima [3 stops]. From Lima, walk down Via Vitruvio to the crossroad, Via Benedetto Marcello (about 100 meters), where you will find our hotel on your right. From Bergamo´s Orio al Serio airport, take the "Autostradale" Shuttle to the Central Train Station, then walk down Via Vitruvio to the crossroad, Via Benedetto Marcello (about 200 meters), turn to the left and you will reach the Hotel Paradiso. Leave the Tangenziale Est highway at Lambrate [Exit 8]. Then, turn to your left and go down Via Rombon. After the tunnel, continue going straight along Via Porpora. When you reach Piazza Loreto, circle it to enter Corso Buenos Aires, continue along the Corso for about 500 meters to Piazza Lima and turn into Via Vitruvio. Follow it for about 100 meters and you will find our hotel on your right. From the Central Train Station, walk down Via Vitruvio to the crossroad, Via Benedetto Marcello (about 200 meters), turn to the left and you will reach the Hotel Paradiso.